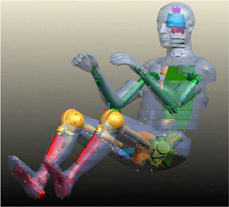 The WorldSID program is set up to develop the new, Worldwide acceptable, advanced technology, Side Impact crash test Dummy for improved assessment of injury risk to car occupants in lateral collisions. Two major motives drive the development of WorldSID. 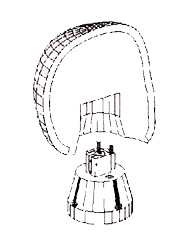 First, improved understanding of human responses in side impact will drive an enhanced dummy design, hence creating means to improve occupant protection. Second, harmonization will eliminate the use of different dummies in different areas of the world. Cooperation between industry and government is essential to the success of WorldSID. The project, initiated under the auspices of the International Organization for Standardization (ISO), is supported by automotive manufacturers, suppliers and governmental organizations around the world. A major part of the work of the EC funded program SID-2000 is being contributed to WorldSID and constant coordination with the International Harmonized Research Activity (IHRA) ensures that the dummy developed will be suitable for use in future worldwide regulatory test procedures as well as in advanced research and development work. The ISO WorldSID Task Group consists of experts from industry and governments representing three regional WorldSID advisory groups: Americas, Europe and Asia/Pacific. The Task Group is chaired, in turn, by each of the chairpersons of the three regional groups. The Task Group acts on behalf of the sponsors and reports to the ISO working group on Anthropomorphic Test Devices (TC22/SC12/WG5). The ISO WorldSID Task Group has selected first concepts of the dummy parts and contracted a design team to design and build the dummy. The WorldSID Program Manager leads the design team and reports to the Task Group. Contact information for the tri-chair is given in the Work Items section. The ISO WorldSID Task Group has created an extensive set of design and performance specifications taking into account ISO and IHRA recommendations. It is the design team’s task to use this as a baseline for the design of WorldSID. 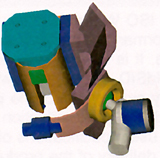 A prototype was completed in the fall of 2000. Extensive biofidelity evaluations of the prototype dummy has been conducted worldwide. 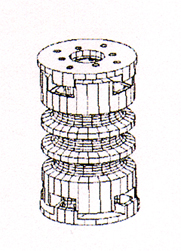 The design and user specifications of the dummy at Standard Build Level-C has been released into the public domain.